A few months ago this magazine reported on a scale model of Durham Cathedral made entirely out of Lego. 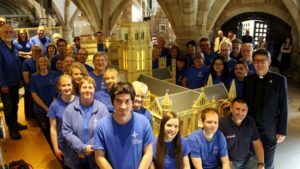 In addition to raising over £300,000 to help with the cost of the cathedral’s Open Treasure exhibition, the Lego model has won two awards and may well clinch another. Durham Cathedral in Lego won the Best Charity Event of the Year at the Amazing Durham Awards in September, and was also presented with the Durham Business Group Marketing Award, at a ceremony held at the Beamish Hall Hotel on 11th November. The Durham Business Group Marketing Award is for innovation in marketing and initiatives that lead to business growth. As well as tried and tested marketing techniques such as posters, leaflets and adverts, Durham Cathedral in Lego’s success was also down to the savvy use of social media, with over 40,000 people watching a live Facebook stream of the model’s last brick being laid. The cathedral also triumphed with regards to product design and branding, with successful sales of mugs, t-shirts and limited edition mini-models of the Lego cathedral. The campaign also ventured into multi-media territory, with five films being made in collaboration with video production firm LintelFilm. The films use the Lego model to tell the story of the cathedral from the times of St Cuthbert to the present day. The films gained over 50,000 views in five weeks and also helped to promote the Open Treasure exhibition. The cathedral has also been praised for how well it worked with partners during the Lego project. 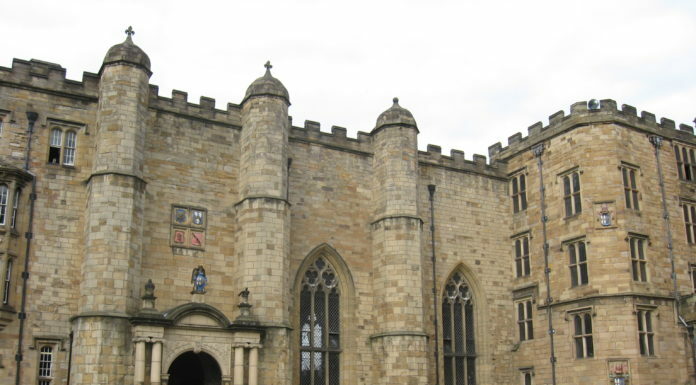 Companies such as Thorn Lighting and Sacristy Press sponsored the scheme, and the cathedral’s relationships with groups such as the Durham Light Infantry Trustees and the North East Autism Society were strengthened. And now Durham Cathedral in Lego is up for another award. It has been shortlisted for the Most Innovative Fundraising Campaign at the National Fundraising Awards, which will take place on November 29th. The Lego model of the cathedral took three years and an amazing 300,000 bricks to complete. Visitors to the cathedral were encouraged to add bricks to it and people from 182 different countries did so. Durham Cathedral in Lego holds the world record for the largest Lego model built by ordinary members of the public. Those wishing to get involved in supporting Durham Cathedral, whether as individual volunteers or corporate partners, can visit www.durhamcathedral.co.uk/beinvolved.